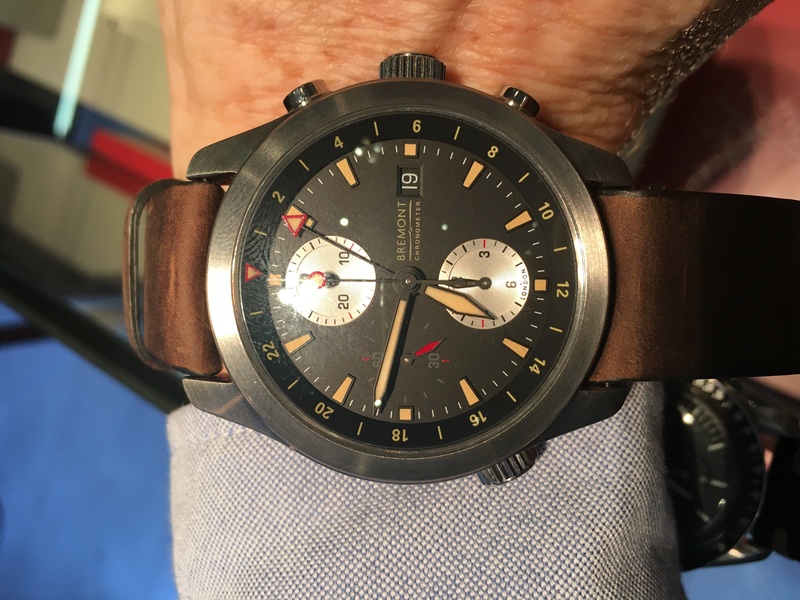 Last Tuesday evening I found myself at the second Bremont Adventurer’s evening, I had not been quick enough to sign-up for the first. 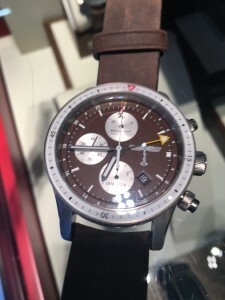 The scope of the evening was to have a preview of Bremont’s new models before they are released. 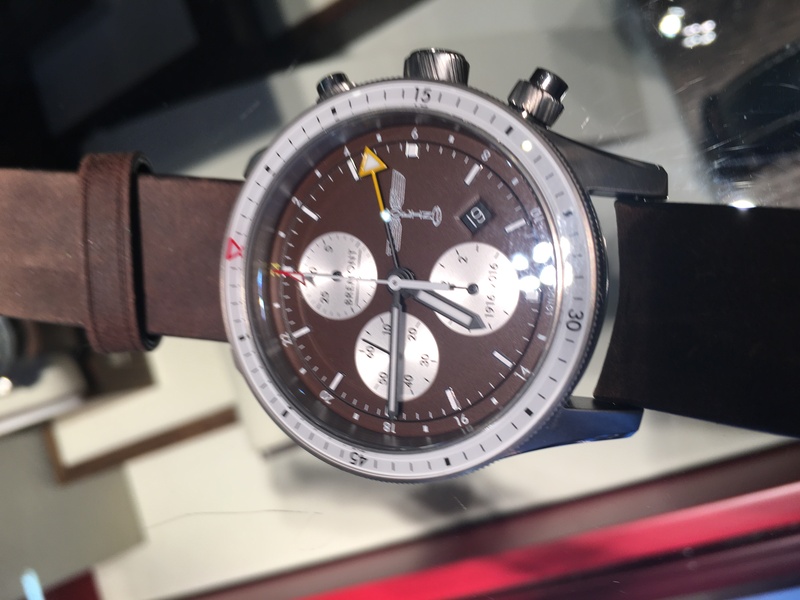 Other than a chance to have a prolonged browse of Bremont’s Mayfair shop the most interesting part was to hear Giles English, one of the founders, talk about the company and their watches. He is a very natural speaker who manages to transmit his passion and enthusiasm for the future of British watchmaking. Apparently one of the major obstacles they face is not the ability to make the various components of a watch movement but the fact that many of these components are patented. This implies much work needs to done in designing alternatives. I look forward to following this idea up with others of the sector. 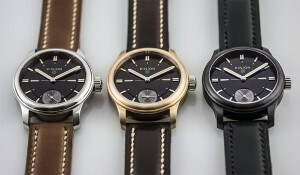 The “new” watches have all been well covered in the press recently. 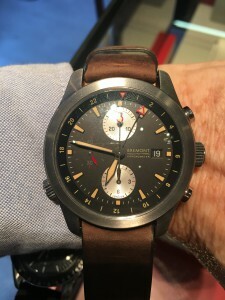 They were, the ALT1-C/PW which takes advantage of Bremont’s increasing confidence in working with the case material, in this case the ALT1-C/PW is Bremont’s first non-limited edition polished steel watch that will form part of the core collection and will only be produced in limited numbers each year. As with the core collection timepieces, this polished steel case will undergo a similar hardening treatment, providing high impact resistance but still retaining its polished surface finish. The signature coating gives the watch case extreme hardness, excellent toughness, good wear and high impact fatigue resistance; it is as such used widely in the aerospace industry. The ALT1-ZT/51 adds a new dimension to the range whilst integrating a very important design cue from Bremont’s past – The Limited Edition P51 it maintains the clean legible dial with its new applied and bespoke coloured Super-LumiNova® index markers, and with the 24hr function having been moved to the bezel for improved clarity. Greater detailing around the stepped sub dials with micro lines on the ZT models has been made to give the dial more depth. Functionally the ALT1-ZT/51 has the same features as the ALT1-ZT/BK with the integration of the Roto-Click® bi-directional inner rotating bezel. The GMT hand combined with chronograph functionality measuring seconds, minutes and hours make this model ideal for travel. Finally there was the limited edition Boing 100 produced in recognition of Boeing’s leading position as a commercial aircraft manufacturer, carbon fibre composite from the historically significant and technologically advanced Boeing Dreamliner flying testbed aircraft, ZA004, can be found integrated into the crown of each timepiece. All in all it was a very enjoyable evening. I am now looking forward to the next one. 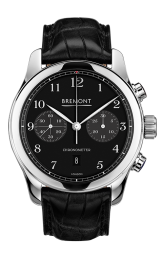 For more information about Bremont’s new releases you can visit their new releases page . Last week was a busy week for me, watch wise. 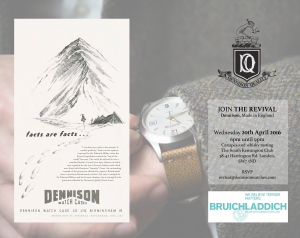 The key event probably being the launch or revival of the Dennison brand. Important for me personally because I first came across the brand at the Salon QP last year where Toby, the founder, told me about their launch in February. 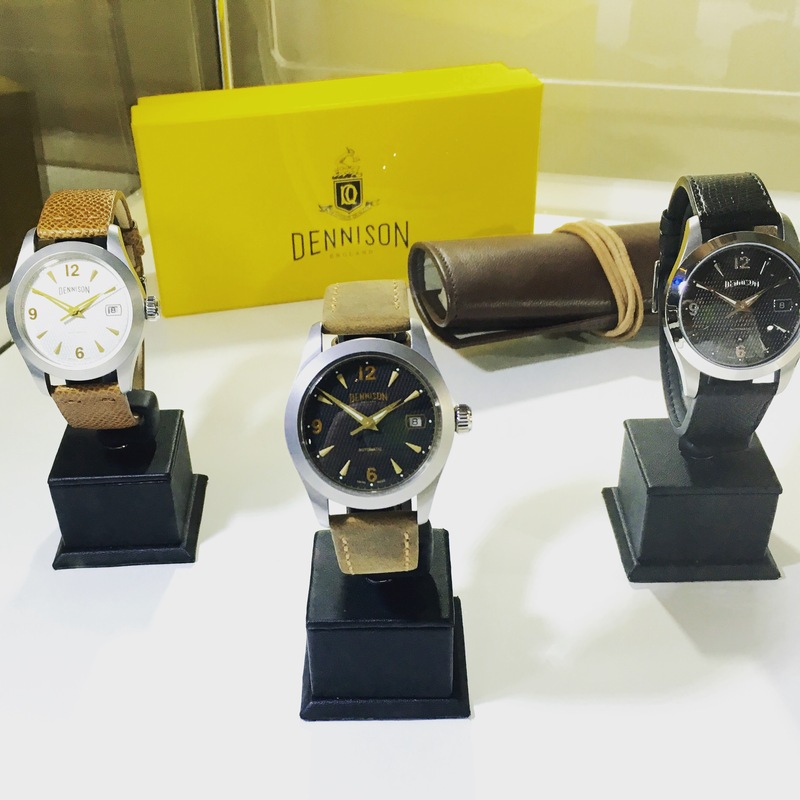 The original Dennison Watch Case Co. Ltd was established in 1905 by Franklin Dennison and his son Major Gilbert Dennison. Dennison designed and manufactured watch cases for world famous explorers specifically for expeditions – in 1913 for Sir Ernest Shackleton’s Expedition to Antartica on the ship ‘Endurance’, and in 1953 for Sir Edmund Hillary and his team’s successful Everest Expedition. During the same year, Lieut. Commander Lithgow broke the World Air Speed Record flying over Tripoli, reaching a speed of 735.7mph (1184km/h), whilst wearing a Dennison Aquatite cased watch. The Dennison name fell dormant until 2010, when Toby Sutton of Watches of Knightsbridge registered the trademark and began working on a revival. 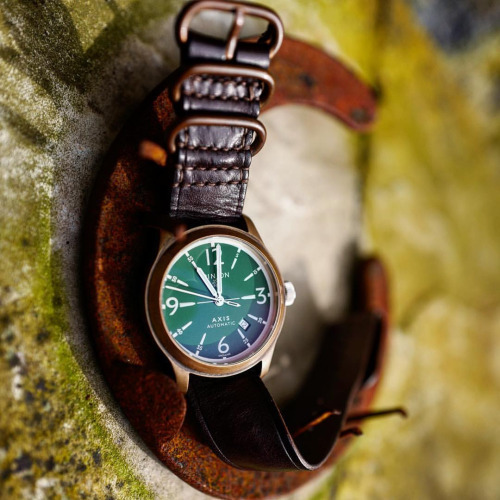 Inspired by the expedition pieces of the 1950s, the revival watches, have their cases produced in the UK using some machinery from the original Dennison factory. Inside are ETA-2824 movements . The launch event was held in a private London club in association with Bruichladdich Whiskey. I arrived too late to hear the Jon Gupta and Tony Douglas the two brand ambassadors chat, but in time for the whiskey. 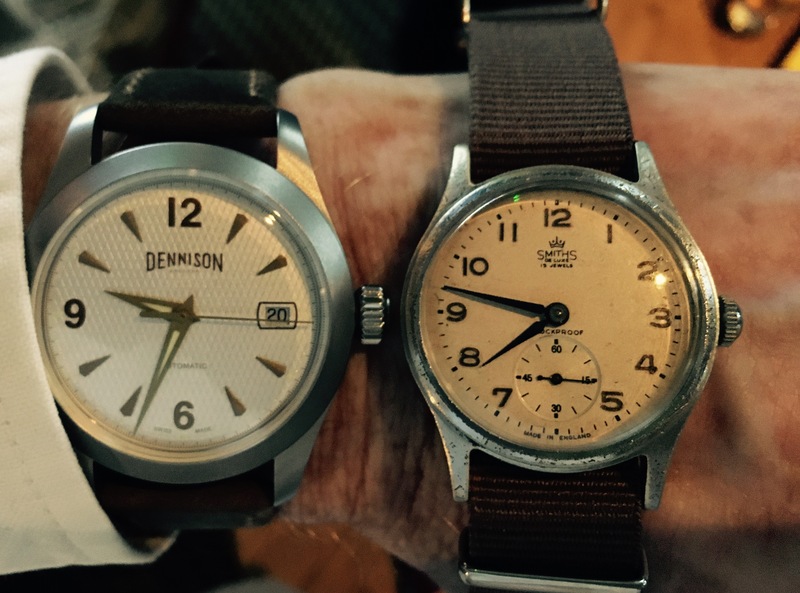 Toby will concentrate on the existing range of three watches for the foreseeable though he is passing an eye over historical Dennison models. One style that he has considered is the cushion shape, which we agreed is a style that is becoming more popular. 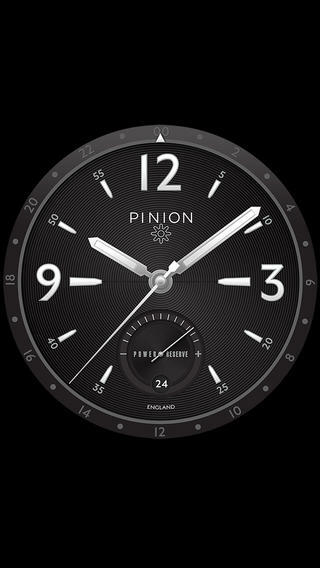 I read a tweet from Piers Berry saying it was the third birthday of Pinion Watches this weekend – Congratulations. The Pinion collection is looking great and I am looking forward to seeing the the new developments hinted at during the Apex evening. 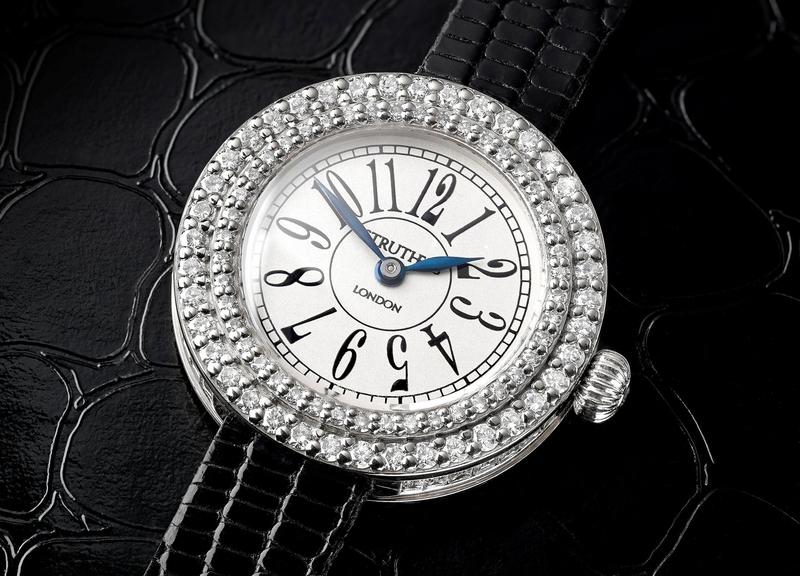 Britain has a long history and a worldwide reputation for bespoke luxury items. This fact has been acknowledged in a recent article in QP Magazine on bespoke watches. The article starts off with the usual raft of famous names but then goes on to give some coverage to Garrick and Struthers; well worth a read if you are looking for a special treat. This photo by Simon Cudd popped on Instagram this week. I liked it liked it so much I had to ask Simon if I could reuse it. So here it is a Bronze Pinion Axis on what Simon describes as a Bromhead strap. I recently ran across this interesting chart showing the “correct” case size for different size wrists. 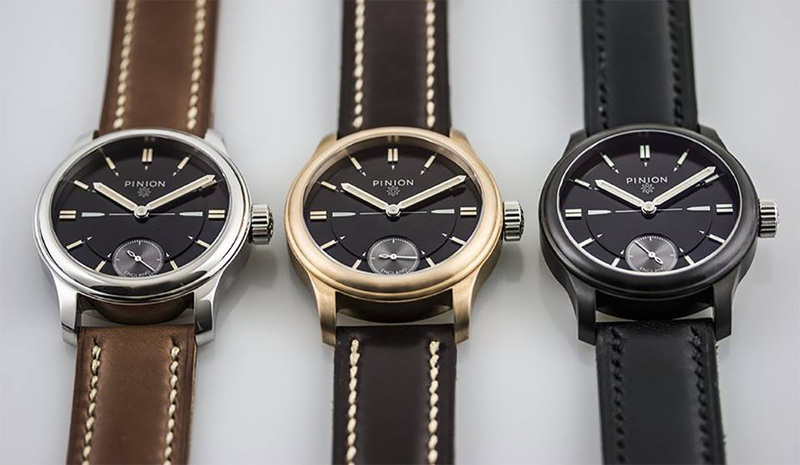 Now you may or may not agree with the recommendations but it did make me think again about how long the current trend for 42mm and larger watches will last. This is pertinent to some of our British Brands that seem to favour the larger cases. I am thinking of the Schofield Signalman, Pinion Axis and Garrick range. Bremont do offer their Solo in 37mm but sort of as a female watch. I wonder if case sizes will start to get to more practical sizes ? Is the announcement of the Tudor Heritage Black Bay, at 36mm, the start of that trend ? Will British brands, other than Robert Loomes who has always had smaller watches, follow ? Fashion is often cyclical. If you are like me and still not decided which of the Pinion range you want to invest in, try this one for free – if you have an iPhone that is. One category that seems a little overcrowded is that of classic styled quartz powered watches. So when a new player pops up that gets people talking about I thought I would try and find out a little more. 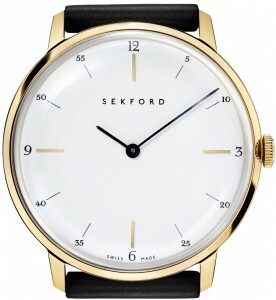 The brand is Sekford and from what I can see from the photos on their website the watches do look very well made. Sekford is the brainchild of Kuchar Swara of Port magazine, a beautiful biannual he co-founded and where he is still creative director. 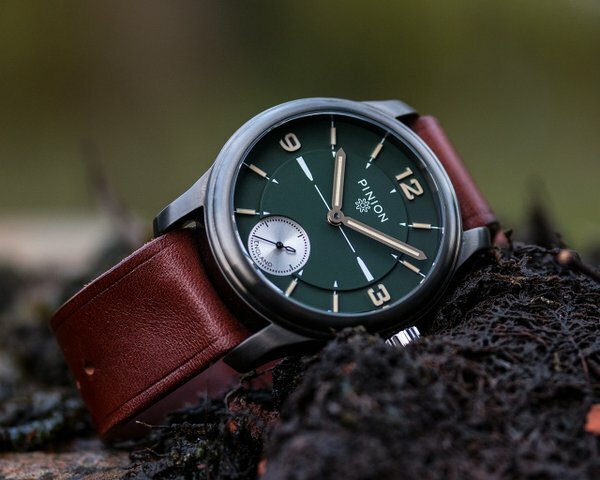 The inspiration for the watch came from the personal experience of trying to find a nice piece of watch design that did not require the same investment as a Patek Philippe or a Vacheron Constantin. Not finding anything, he decided to make a watch of his own. For a quartz the watches are pricey, this one above costing €795. they can be bought on-line from their online store here. The Axis Pro Pure collection from Pinion Watches is now complete, available in polished steel, marine bronze or DLC black this new non-limited run features a dial design with ‘professional’ styled applied batons, two-step bezel, anthracite sub seconds and radium or green luminova. Prices will start from £2,300 inc VAT . If you get a chance try to get along to one of the Apex London meetings to see these great looking watches in the “metal”.